Good morning, Ian & the rest of Sudokuland. Good Morning Shiela, Karen and Ian...beautiful spring day here! 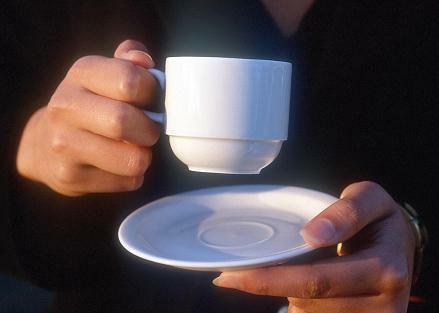 Americans can attend the nearest Tea Party today. Google "Tea Party" and your state for the locations. And it's time to start that now! 2. If you don't read the newspaper you are uninformed, if you do read the newspaper, you are misinformed. Buddy - you are clever! Colo Jim - Sad, but true! Thanks for sharing. BTW, how's the spring skiing? And a very good morning to all my Sudoku friends! Jim, concerning #2 of your post: If you don't read the newspaper you are uninformed, if you do read the newspaper, you are misinformed. .....You should be happy. Most of the newspapers in our area are going belly-up! Happy Birthday to Gail and Toy Elephant, who are apparently very practiced at celebrating their birthdays close together. How clever that she was born a day after your birthday so that the family can have a longer celebration!!! My goodness, I'm glad Sudokuland was here so I could refocus from time to time yesterday and early this morning. I hate, hate, hate, hate doing taxes. Even the simple form 1040A has become ridiculously complicated. I think I'll make myself a cup of tea. aaaahhhhhh tax time! A wise man once said that if you take all the money you made during the year, put it in your pocket and walked into a river. What stayed dry you got to keep! must be nice GannieMo that's something we get stuck with. did you make it GannieMo? Good Morning Everyone. Buddy looks like a pretty satisfied cat. More birthdays in Cockatoo? Sounds like a lot of cake ... I'll be right over! I could easily fit 52 paychecks into a ziploc bag in my pocket. If everyone in the country refused to do their tax forms what exactly could the government do about it? here for the third day in a row!! I have plants to put in! Enough, already! Excellent question, Mo. A tad late for this year, but maybe we should boycott next year? I guess our rain moved to Maryland so Kathy could enjoy some of the wet stuff, we finally have had . Page 1 again today!? Still slow. Now back to the kids!! 32 more school days, not that I am counting or anything.